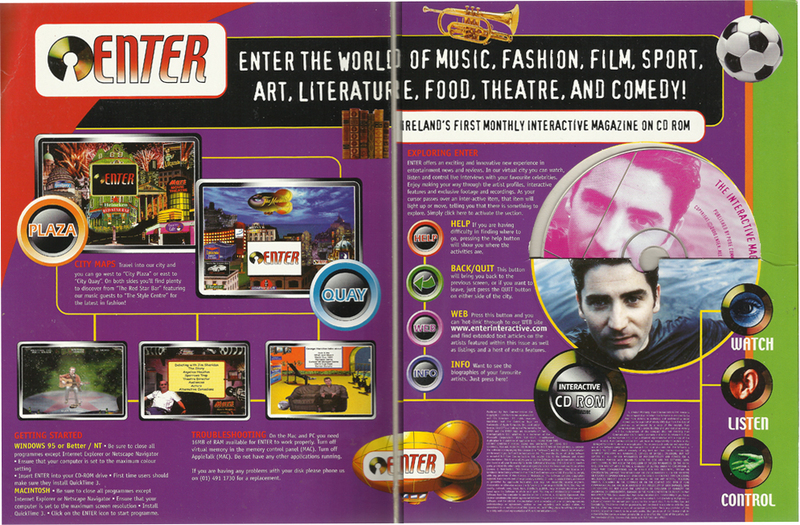 This is issue 2 of ENTER, Ireland’s Monthly Interactive Magazine on CD Rom. The CD was enclosed inside an A4 sized hard paper folder. (scans of all 4 pages above). 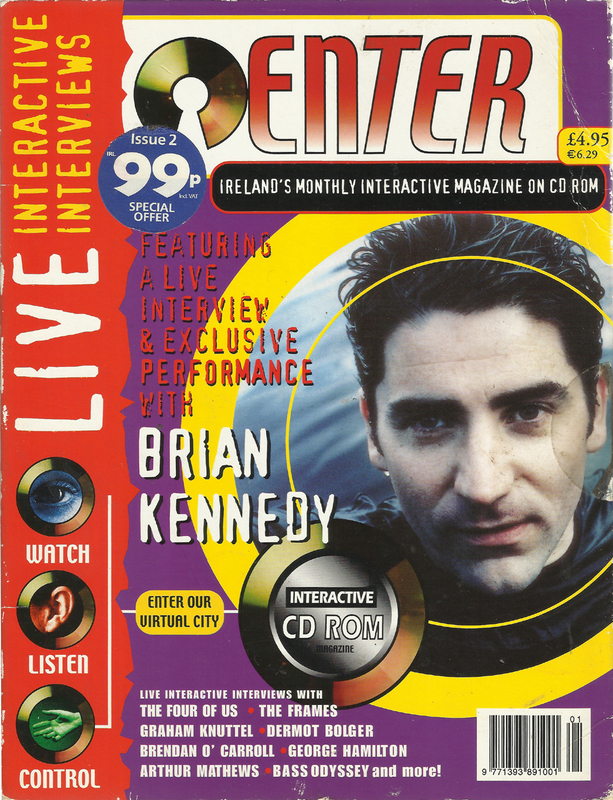 Issue 2, from January 2000 was edited by Ken Sweeney and had video interviews with Brendan O’Carroll, Arthur Mathews, Graham Knuttel, George Hamilton and many more. Produced long before mass broadband arrived, I’m not sure how many issues this ambitious project lasted for. 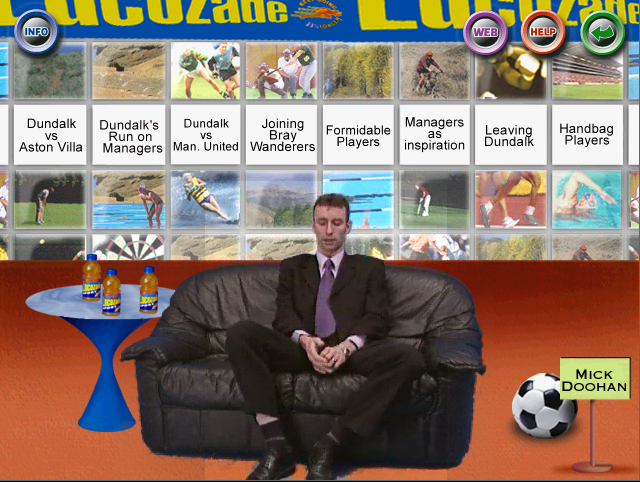 We replace scans with screen grabs (below) from the CD rom. Its The Distant Future, the Year 2000! hahahaha..the cd rom…the 8 track cartridge of the computer world. Why is Sopranos’ Christopher Moltasanti on the cover?